Have you ever stopped and thought about the number of trees it takes to build a house or garage? As The House Designers website puts it, one of the first steps is generally a lumber order. But before those places existed, we had to know how much lumber the average tree would yield. The website tells us that the amount of wood in a tree is measured in board footage. There are 12 board feet in a cubic foot of wood – so you have to determine the volume of a tree in order to determine its lumber yield. Do you remember the equation to determine volume? It’s estimated that about 6.3 board feet are required for the building of every square foot of a house or garage. Let’s say that an average two-car garage is 26’ by 26’ – or 676 square feet. You would need just shy of 4,260 board feet. 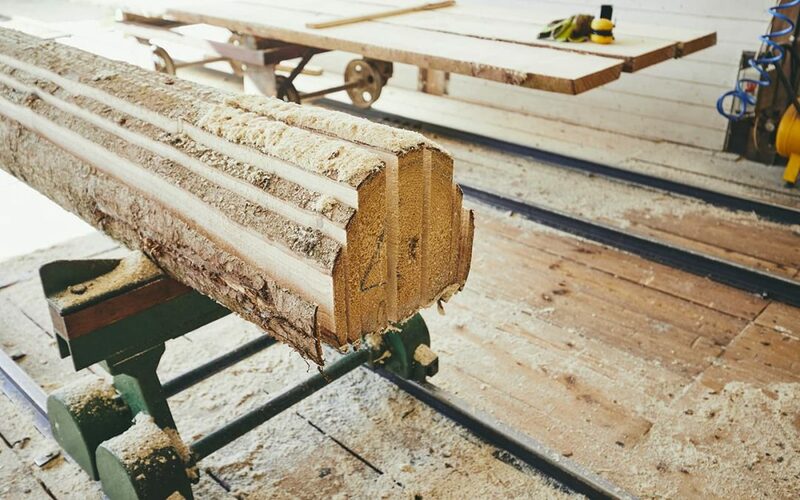 Now, according The House Designers article, the average lumber yield of a tree is about 754 board feet. That means it would take more than 5 and a half trees. That’s just for the framing. According to the realtor.com website, the average cost to build a garage from scratch is about $40,000 and takes around two to three months. Your location and labor costs might mean it’ll cost even more. You also must check with your local municipality and be aware of zoning laws that might impact the size or even type of garage you can build on your property. One of the top reasons why people choose to go with a prefabricated metal garage kit is because it often costs considerably less than traditional construction and can be put up faster. Steel is also far more environmentally friendly when you remember that you’ll be consuming trees, which may take 20 years or more to regrow to the right size to harvest for construction. Steel offers superior structural strength and integrity. Our designs feature a 50-year structural warranty. The clear span truss design also means that you’ll have far more usable interior space in your garage, as well as more height for vertical storage. Miracle Truss® buildings are designed with DIY in mind. Most owners say they work with a professional for the concrete pad, and the rest can be put up with a rented forklift. If you’re in a hurry to get that garage up, our designs can get the job done up to five times faster than conventional construction. Visit our online gallery of metal and steel garages and shops.